It always amazes me that i have the brain power to continue this blog considering the fact that i normally write them late at night when I’m really not at all awake and should not be at the computer at all. But hey it gets down. I was out and about this past weekend like i normally am and it was kinda an odd one. The park had an odd quiet to it. Which for me i liked. I personally don’t prefer the busy bustle that happens far to often, makes it harder to shoot and it makes it harder too just stop and enjoy the beauty. Saturday was a rather beautiful day with blue skies and warm weather, and i think I’m not the only ones that noticed because the critters just were not around to par take in the enjoyment. I mean when it’s 40 degree’s out in February it’s too hot. 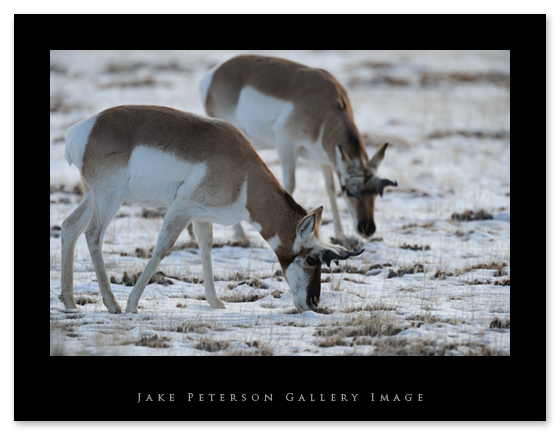 If it were not for these Pronghorn i probably would not have shot much that day. I couldn’t even find the sheep that day except for one very nice elder Ram with some long curls but in a very bad position to be photographed. He had to just be watched and moved on. Sheep of course have a low tolerance to heat and actually prefer the colder temperatures of the upper cliffs. 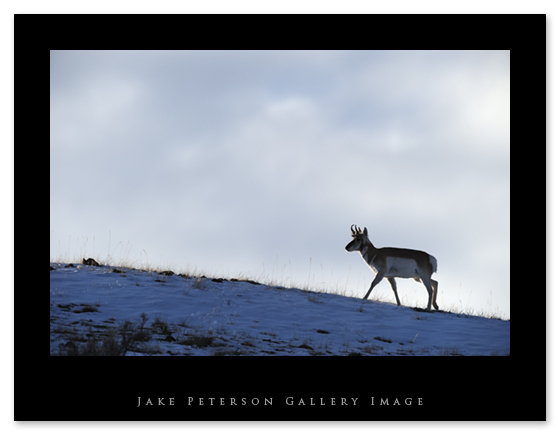 These Pronghorn were right at the entrance to the park and although i was looking for the sheep to put with the blue sky and beautiful light for the ridge shots, the Pronghorn seemed to suffice just fine. Now this particular male looked right at me, looked at the patch of sun behind him and walked away from it just to spit me but hey that’s an ungulate for ya.